Broad beans are the only beans that are truly happy in our damp, cool climate. The first flowers appear in early spring, releasing a gorgeous scent to draw in the few bees that are hardy enough to venture out. A little ahead of the British season, we enjoy a beautiful crop from Spain – providing some welcome beany greenery to perk up our plates after winter. When very young and fingernail-sized, they can be good raw in salads, perhaps with a shaving of Parmesan. From then on it’s best to cook them, tossing into pasta dishes and risottos, or serving as a simple side. For 250g podded broad beans, you will need around 750g whole beans. Mixed with other ingredients, such as in a pasta or rice dish, 200-300g podded beans should be enough for two to four people. 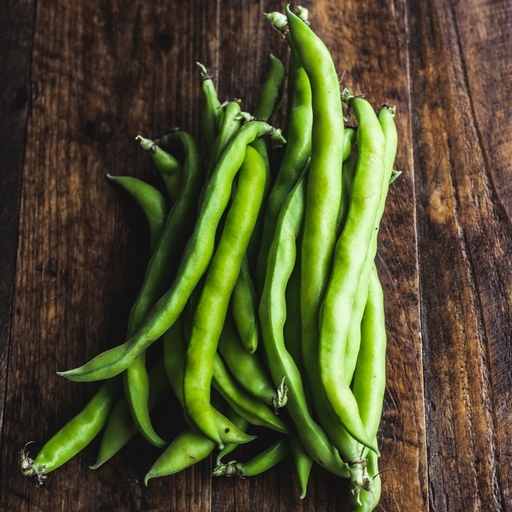 Broad beans keep well in their pods in the salad drawer at the bottom of the fridge. They should stay fresh for a week, even if the pods wilt a little.